Stacie is a daughter of Bethel Skinker, MEANS volunteer. She will play soccer for the next four years at Calvin College. When I think about soccer I remember the first time I laced up my own pair of cleats and joined my best friends out on the pitch. I remember the excitement of scoring my first goals as a little girl, the cheers erupting from the crowd. I remember the satisfaction I felt after finally beating an opponent with a step-over move. As I look back on old photos, the joy soccer brought me as a kid was apparent by the jubilant expressions on my face. Soccer has positively shaped me into the person I am today in innumerable and invaluable ways. I know friendship because of soccer. 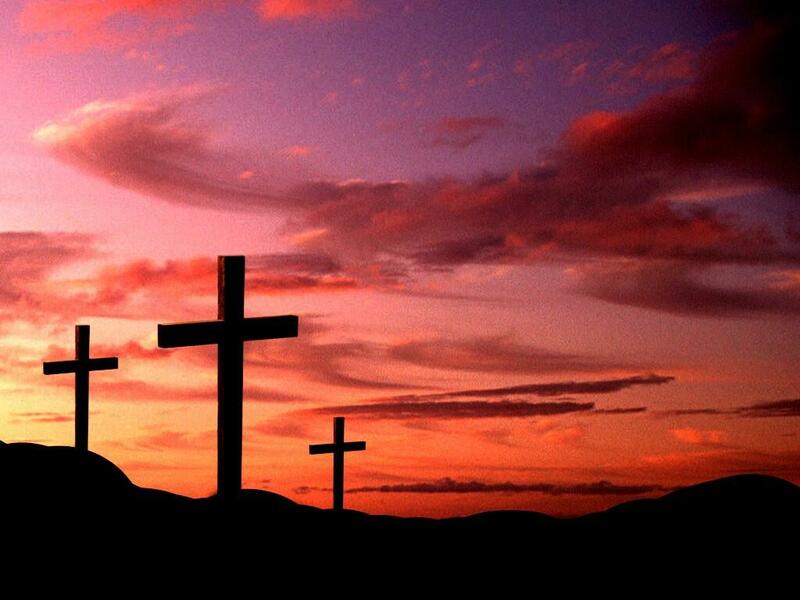 I know sacrifice because of soccer. I know mentorship because of soccer. I know the blessing of soccer. Growing up as a rambunctious little girl, soccer began as a way to expend some energy. My parents would drop me off at practice in the infamous soccer mom van and I would join several other girls with similar amounts of energy. We learned, we thrived, and we grew together in our love for the game. This common bond sparked immediate friendships. As we won together, cheered together, lost together, cried together, I was able to experience true friendship at its finest. Soccer has given me the opportunity to bond with a vast amount of people from all backgrounds — people I never would have had the chance to meet or get to know otherwise. Soccer has taught me sacrifice. My most used phrase throughout my youth soccer career was undoubtedly, “I can’t–I have soccer.” It wasn’t always easy missing school events and turning down social events for soccer, but when I stepped off that field a better player, as I placed a new medal around my neck, every extra drop of sweat, and every extra hour of practice was suddenly worth it. There’s a famous quote that goes, “sacrifice is being willing to give up something good for something better.” Without soccer I would not have been able to personally experience the truth in that saying. In life, when I’m ready to give into immediate desires, I will remember the satisfaction that comes from working hard and sacrificing good things, for greater things. I now know it’s worth it. Displaying talents for everyone to see automatically opens up a field of opportunities. Younger athletes look up to you, amazed at your superior size, speed, and skills. From the stands they watch in utmost fascination. You’re a role model in their eyes. 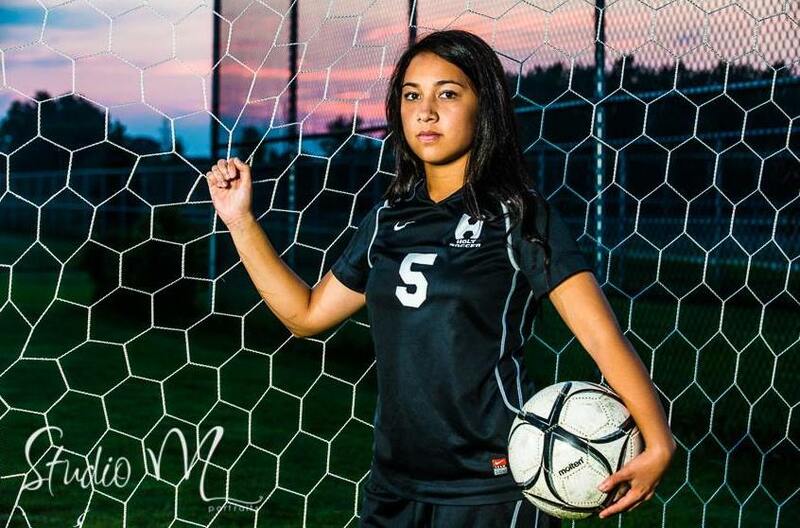 Soccer allows you to make a difference in younger athletes’ lives, both on and off the field. Last December I visited some family in the Philippines. One day we stopped at a local orphanage and spent the whole day with orphaned children. When the kids saw that I had a soccer ball with me, they overflowed with excitement. In the front yard of the orphanage we played soccer–hours and hours of soccer. I taught each kid how to properly kick the ball, I taught them how to head the ball, and I witnessed the smiles on their faces as they realized that someone had just spent time and energy on them, something they so seldom experienced beforehand. Soccer provided a common interest through which we were able to connect and it gave me the opportunity to make an impact in those kids’ lives. It was as much of a blessing for me as it was for the kids. Throughout my youth career, soccer has helped me as an individual by teaching me the values of friendship, sacrifice, and mentorship while broadening my eyes to the cultures and backgrounds of different people soccer has the power to bring together. Give the gift of HOPE. These are the MEANS initiatives to help children heal and recover from the trauma caused by Typhoon Haiyan. These initiatives will empower our ministry partners in the Philippines to enable them demonstrate Jesus’ compassion for the children. Feed Projects – This is a fun day event for the children living in the disaster area. 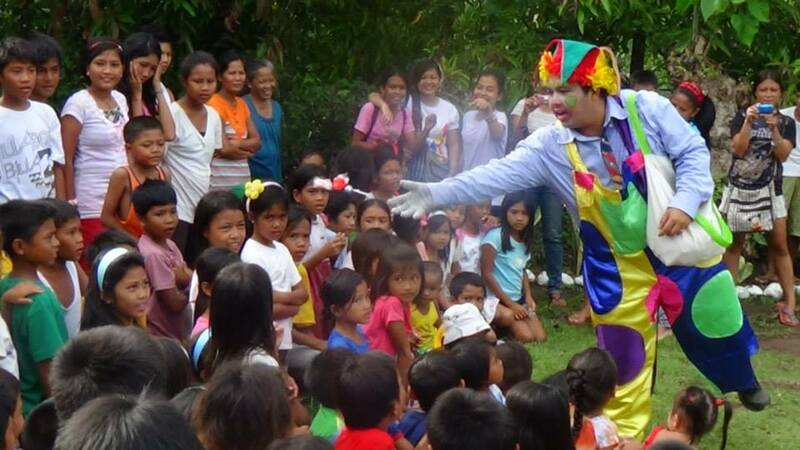 There will be storytelling, games, clowning and other fun activities. The children will be served nacks and lunch. A string backpack containing bath soap, face towel, toothbrush, toothpaste and comb will be distributed to the children. They can also use the string backpack as school bag. These string backpacks are made locally by mothers affected by the tyhoon. 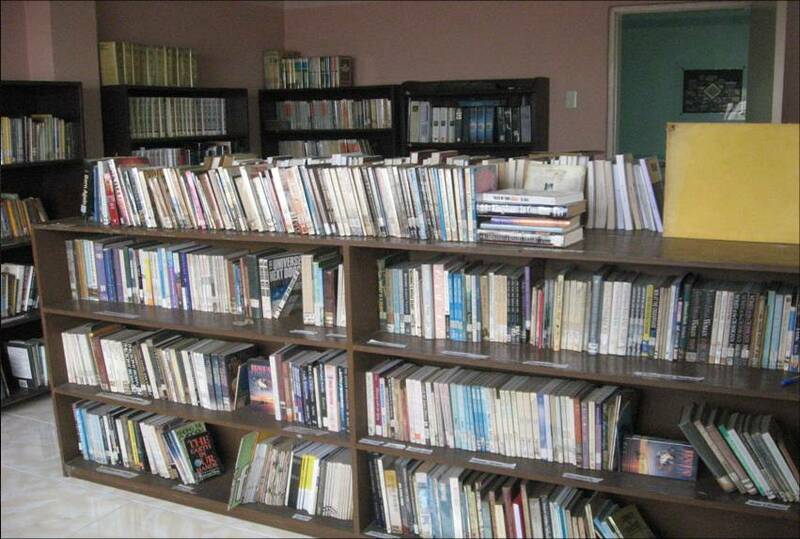 Read to Grow Project – to provide books to the local libraries in the communities we serve that are affected by the typhoon. Many school books were damaged. 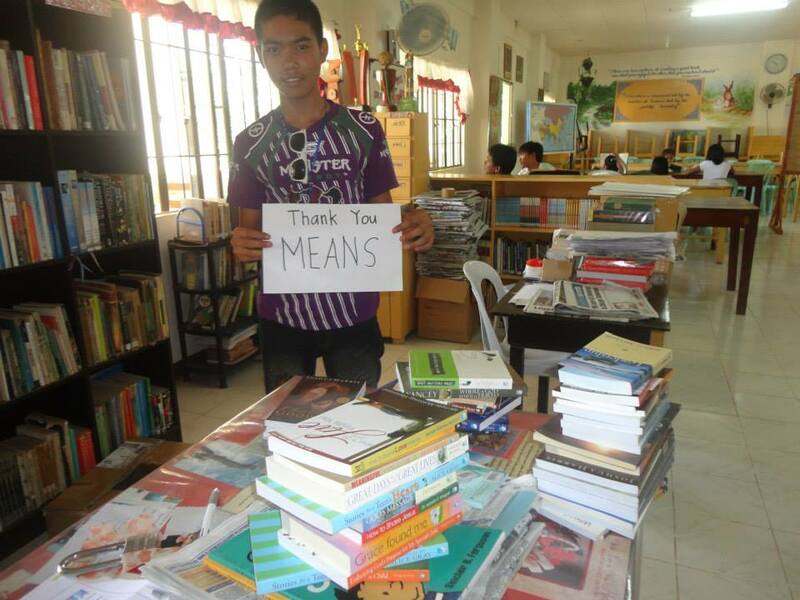 MEANS will give books and help established reading centers in the community for children. A Read-to-Grow Reading Center is a safe place for underprivileged and traumatized children and young adults to go to. Reading these books will open their minds to the reality of God’s love, His presence in the world and will teach them good Christian values. The children story books are written by Filipino authors and printed by OMF Literature Publishers in the Philippines. Solar Radios Project – The radio is fixed tuned to DYVS (West Visayas) – a local Christian radio station managed by Far East Broadcasting Company, International. FEBC shares the love of God through the air. Programs are broadcasted using the local dialect of the people where the station is based . Listening to variety of programs that are offered, including bible teaching, Christian music, local news , etc. in their own dialect will help typhoon survivors not to feel isolated and in their emotional recovery. Solar radio broadcasts can reach rural and far flung areas, which are otherwise unreachable, because of infrastructure damaged due to Typhoon Haiyan. Flip Flops – Flip-flops (rubber slippers) will help protect children’s feet from rough terrain, infection, and soil-based diseases. Some soil-based diseases not only cause physical symptoms, but create cognitive impairment too, crippling a child’s long-term potential. The children’s feet are usually neglected by relief workers because primary needs are met first before other needs. 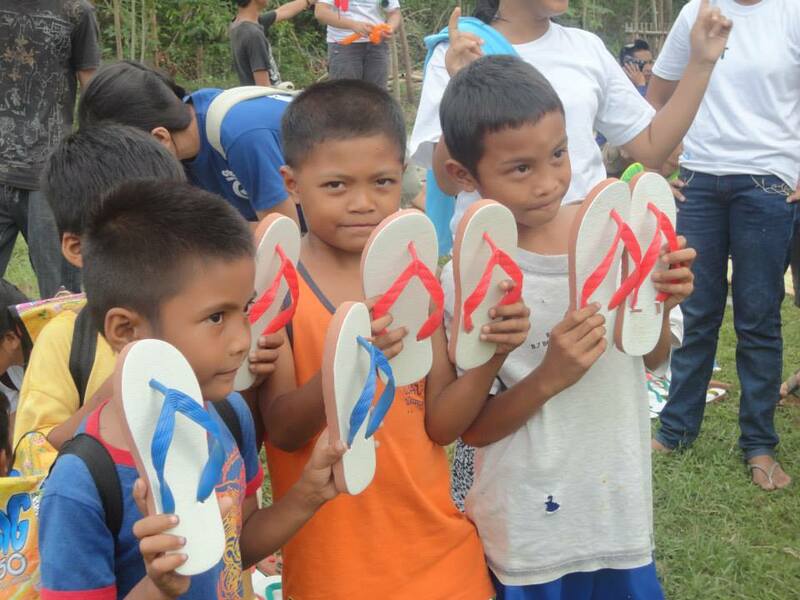 Flip Flops – are less expensive to purchase in the Philippines but at the same time not a priority to most people in poor communities. The Flip Flops are purchased locally. We believe that purchasing local goods will help generate income and help the local economy, as well. Our local ministry partners have the information, the network , the capacity, and the volunteers to help in the implementation of MEANS projects and distribution of donations in kind to typhoon survivors.